Guess who thinks the latest poster of Bharat, featuring Salman Khan, is cool? Paris Hilton! Soon after Salman Khan shared the new poster, in which he features as the title character from the year 1964, Paris Hilton posted a 'cool' emoticon. In one part of the film, Salman Khan plays the role of a daredevil stuntman in a circus set in the Sixties and in the new poster he's dressed for the part. Disha Patani, who plays the role of a trapeze artiste in the same circus, also features on the poster along with Salman Khan. Here's the poster shared by Salman Khan and a screenshot of the comment posted by Paris Hilton. In 2014, Salman Khan and Paris Hilton attended Venkateshwara Hatcheries owner Balaji Rao's birthday in Hyderabad after which several pictures of them dancing to Mika Singh's live music trended on the Internet. At that time, Salman Khan's sister Arpita Khan Sharma had also posted pictures of Paris Hilton wearing Salman's lucky bracelet. 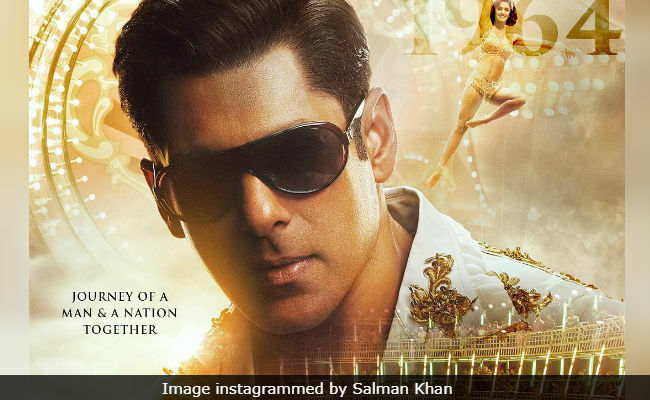 Back to Bharat - Salman Khan's film is slated for Eid release and the filmmakers have started pushing promotional content of the film on social media. After a teaser, the team shared a poster of Salman Khan sporting a salt-and-pepper look - what the character looked like in the year 2010. As the makers say, Bharat is the "journey of a man and nation together." In Bharat, Salman Khan sports several looks of different ages. The first poster depicts Salman Khan's Bharat in his 60s while the second one shows him in his youth. From the teaser we know that Bharat was also a navy officer for some time - another poster on the cards? Bharat also stars Katrina Kaif, Tabu and Sunil Grover. It is directed by Ali Abbas Zafar and produced by Atul Agnihotri.